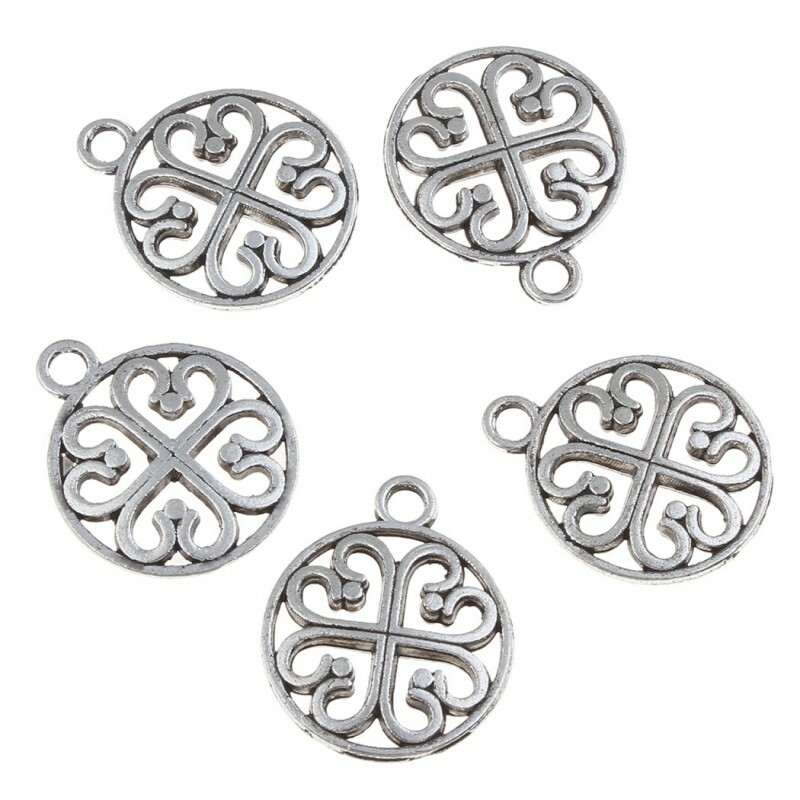 Charms to hang with circle shape with clover. 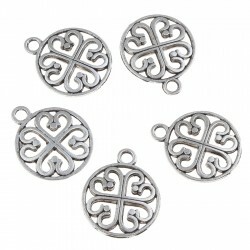 This ornament is presented in a circle shape with a clover in it, which can be used as a pendant or charm on a bracelet or necklace. It does not have a flat design, but it is a bit oval. Its measurements are 15 mm x 18 mm, and the hanging hole measures 1.9 mm in diameter. This charm is made of an aged silver zinc alloy. Sold in bags of 10 units.